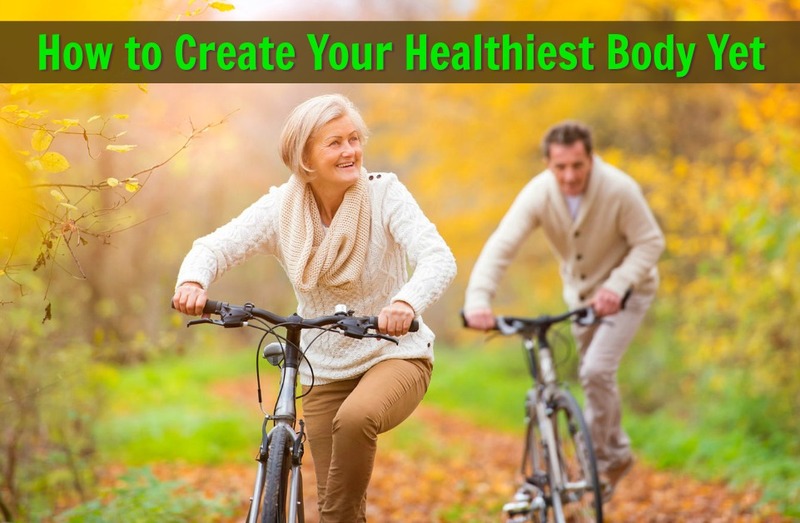 Here are some intelligent, useful ideas for creating your healthiest body yet – even in your fifties and beyond. People can look beautiful in a variety of shapes and sizes; however, science is helping us to understand that inflammation accelerates aging and therefore it’s usually healthier for people to keep their overall percentage of body fat at lower levels. 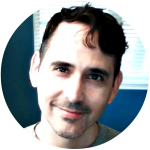 Author Dane Findley, age 53. 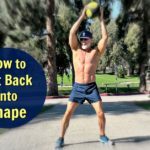 In this article, I explain exactly how I stay lean, strong and flexible in my fifties. I outline – specifically – how you, too, might reduce your own body’s fat stores and create your healthiest body yet. Cutting phases are when active people reduce their calories to lose fat, even though they know they might lose a bit of muscle, too. Bulking phases are when active people up their calories to increase muscularity, even though they know they might gain a little bit of fat, too. In my opinion, many athletes stay a bit too long in their bulking phase (their cutting phases tend to be very brief periods once or twice a year). This goes against much of the latest science I have read, which asserts that genes respond positively when we eat fewer calories, less often. My primary motivation for working out and eating right isn’t to benefit my appearance – although, that’s a positive side-effect. 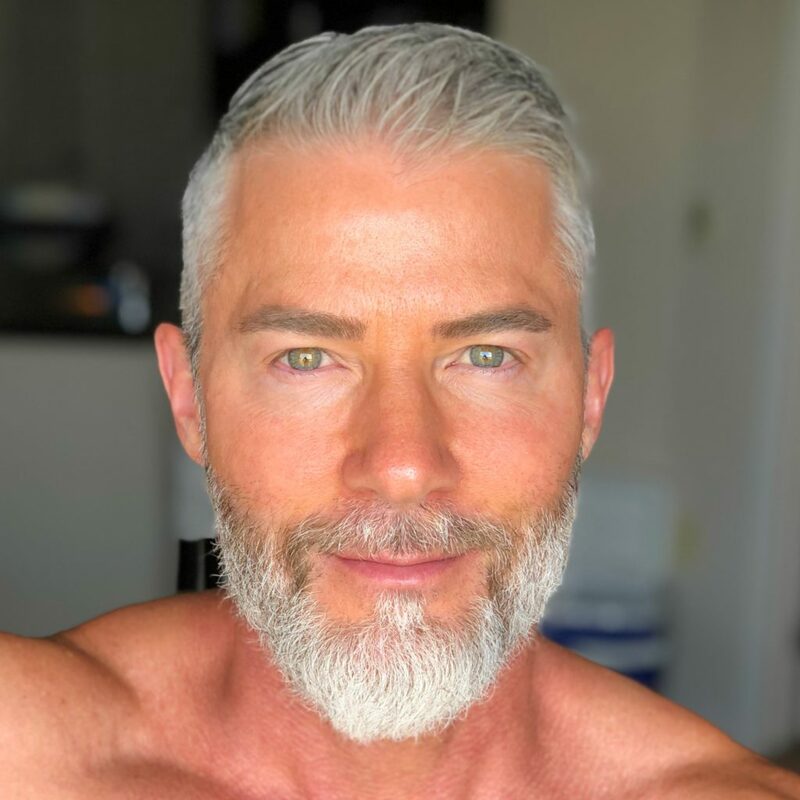 My primary motivation is longevity and health-span – to extend the number of years that I am healthy, happy, and mobile. For this reason, I usually keep my body fat at around 10 to 11%. Women, however, can do quite well keeping their fat percentages as high as 19% (more on this below). Because of the negative impact of inflammation on the body’s cells, it is sometimes healthier for people to have a smaller waist size. My answer is the most honest one I can give; however, it usually surprises the asker. But, really, one’s daily diet is the most significant lifestyle factor for improving health and appearance. It’s not the only factor, but it is the biggest. genetics is not always inevitable; genes – beneficial genes or harmful genes – can be turned on or off simply by following specific lifestyle protocols. inflammation is a primary cause of accelerated aging and disease; among the easiest ways to reduce inflammation is via key nutritional habits. for purposes of cellular health and DNA repair, the human body can benefit by daily consumption of up to 9 (loose) cups of vegetables a day (both cooked and raw) – a combination of leafy greens, cruciferous, and rainbow colors. almost everything you eat either encourages or discourages inflammation. after making sure the number of calories and ratio of macronutrients is within ideal ranges, what matters next is increasing micronutrients while decreasing anti-nutrients; usually, that means finding out which foods your body finds uniquely irritating and avoiding them. It’s important to track your calories a couple of times a year. But only tracking your calories is old-school. and inflammation (which foods inspire an inflammatory response inside your body versus foods that enhance your health). In your fifties? My free weekly updates often include exercise ideas, goal-specific workouts, and diet plans. As always, ask your own medical doctor before making any significant changes to your eating or movement patterns. My hydration water contains electrolytes, sea salt, and trace minerals. I make this right before I go to bed each night, and keep it on my nightstand so that if I wake up in the middle of the night, I can have a drink. Whatever is left in the morning when I wake up, I finish off right away. When you don’t eat a lot of carbs, your body will probably not retain the amount of water you’re accustomed to – which is a good thing, as long as you remember to replenish lost minerals. Believe it or not, consistent clean-eating can sometimes result in not having enough salt, which can cause problems – cramping in the legs, feet, or neck, for example. We’re conditioned to think of salt as the enemy, but if you’re no longer eating the Standard Modern Diet, then salt becomes your friend – not your enemy. The solution is fairly simple – I recommend having two bottles in your kitchen – Pink Himalayan Rock Salt and Redmond Real Salt – a cleaner sea salt that comes from a dry seabed in Utah (created before modern pollution existed). I also add to my hydration water a drop or two of Biotics Vitamin D (for those weeks I haven’t had enough fresh air and sunlight) and I sprinkle in some Muscle Feast Hydrate, an unflavored powder. It’s been fashionable over the last decade for people to have warm lemon-water or lime-water upon waking. However, when you eat an anti-inflammatory diet you’re already eating a lot of alkaline-foods, so there’s probably no need to extra-alkalinize yourself with lemon-water. Ironically, if anything you might need to be more acidic to help you digest those healthy fats you’ve started eating. Also, I’m a bit skeptical that the human body was intended to consume citrus every single day for years upon end. If you love your morning lemon water, you might consider switching to every other day – or perhaps alternating with apple cider vinegar, which has been proven to reduce fat stores in certain situations (see sources at end of article). all mixed together in some unsweetened coconut milk inside my kitchen blender. Most people radically underestimate the number of vegetables they consume in a typical week. Green smoothies provide a simple solution. I make my own. Cultured coconut milk is a highly effective, non-dairy way to deliciously get your non-dairy, fermented, probiotic food in each day. Get it unsweetened and tart, then add some sprouted nuts and seeds, blueberries and cinnamon as a topping. My favorite brand of coconut “yogurt” is So Delicious. But if you want to save money, you can make your own in your InstaPot pressure cooker. Once a week, I peel a few big sweet potatoes, chop them up, and steam them. Only takes a few minutes. When you refrigerate cooked sweet potatoes they become a beneficial prebiotic resistant starch that’s not digested in the stomach or small intestine and therefore reaches your colon intact where it can feed the good bacteria. For me, sweet potatoes are helpful in so many ways that I no longer think of them as regular food, I think of them as medicine. On heavy workout days you might need an extra 200 or 300-calorie bump and – if you’re out on the road and don’t have the time to stop for fresh, whole foods – a snack bar can be a logical choice. Though I like to limit the number of processed foods I eat (to me, processed foods are anything that has previously traveled down a conveyor belt in a manufacturing plant), I will sometimes have a snack bar. However, I choose my snack bar carefully. Most snack bars are just candy bars in disguise. But some can really help you out in a pinch – No-Cow Bar or Bulletproof Bar, for instance. My current favorite, though, is 22-Days Plant Protein Bar (salted caramel) because it’s made without pea protein or cashews (ingredients that can inspire an inflammatory response in some people). For dinner, I typically have super salads. My super salad is usually a giant bowl of greens topped with diced vegetables (including avocado) and meat – grass-fed bison or free-range turkey. The dressing is simple: olive oil, apple cider vinegar, and sea salt. I exercise every day. However, most days I exercise only lightly. Two or three days a week are my “big” days, where I push myself a bit harder than what is comfortable. I pay attention to my breathing. 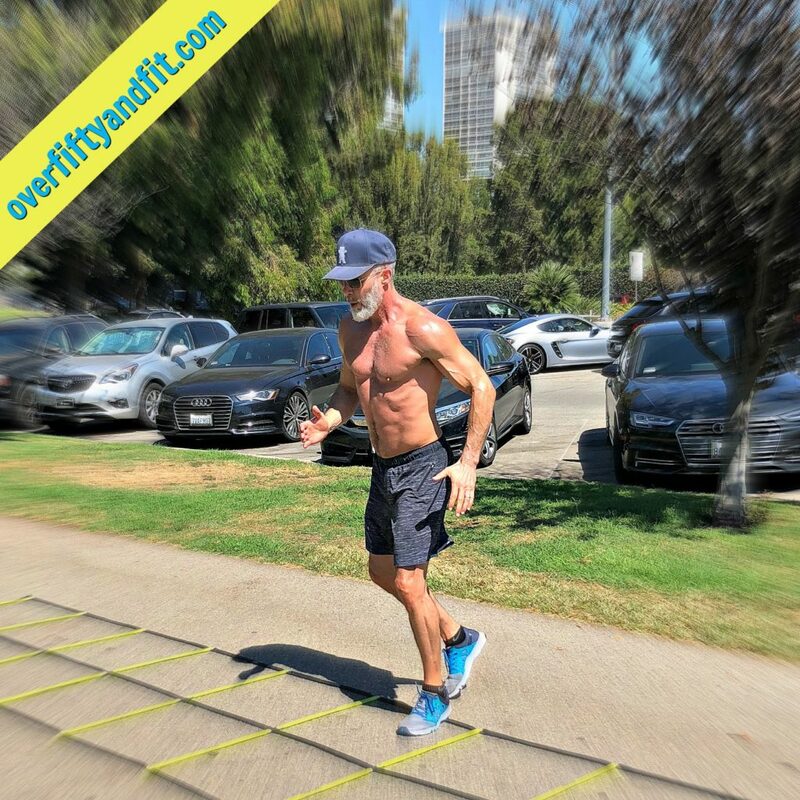 I set an intention for my workout, and try to stay connected to that intention throughout my session. If I’m training with weights, I visualize – in my mind – the muscle group I’m targeting. If I’m running outdoors, I leave my Air Pods at home. I remain mindful, paying attention to my own body while also allocating a bit of awareness for dogs, cars, and potholes. I cross-train! (This is my biggest secret). I do a different type of workout each day. 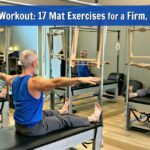 Pilates, walking, swimming drills, weights, running, yoga, or high-intensity interval training. By cross-training, my body is less likely to acclimate and I stay in the results zone. This way, my body is always responding. I take recovery more seriously than the workout itself. Sleep, prioritized-nutrition, and a low-stress lifestyle are my keys to recovery. What is the exact healthy weight for your body? Reaching your ideal weight is often a result of making small changes to your daily habits. But how do you figure out how much you’re supposed to weigh? If your intention is to become leaner than you are right now, it can be helpful to first understand from where – exactly – you’re starting. Also important is to understand where you want to end up – by determining what the healthy weight for your body actually is. By knowing how much fat is on your body today, you’ll then be able to determine what weight loss techniques are working for you and which are not moving the needle. 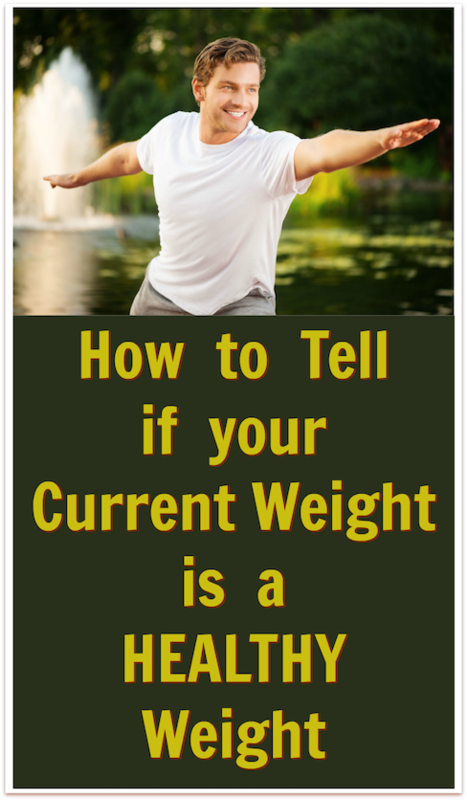 Knowing this will better assist you in reaching a healthy weight. Tracking your weight, BMI, and body composition are a lot smarter now thanks to affordable advances in technology. Available today are 2nd-generation wireless smart scales and full body analyzers – that are compatible with iOS and Android Devices. The Body Mass Index or BMI is a system used to measure your percentage of body fat, and to determine if you are at a healthy weight – using your height, weight, age, and gender. 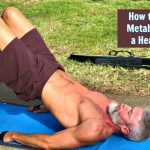 The results of the index will tell you, generally, if you’ve got a healthy body fat percentage and what your ideal ratio of fat-to-muscle probably is. Though other methods are more accurate for learning what your current percentage of body fat is, the body mass index formula can still be a convenient way to get a quick, general idea (if you want to know exactly what your body fat is, you can visit a scanner x-ray service, such as Body Spec, and they will provide you with the most accurate figure available). It is important to remember that each human is different, and your ideal weight is whatever ratio of fat to muscle helps your own body perform uniquely well. In other words, your healthy weight might be very different than someone else’s. Of course, our bodies are all different genetically, and this calculation doesn’t take into account how much of your body is actual fat and not muscle (and it it is therefore not always suitable for athletes). It’s important to keep an objective eye on one’s body fat. The mirror deceives. Many of us think we’re thinner than we really are, while others see fat where there is none. Excessive belly fat can be a sign of toxicity, inflammation, and potential future health challenges, so it’s good to know where you really stand in terms of your fat-to-muscle ratio. Trying to determine the exact number of pounds that you should weigh is tricky. Standard bathroom scales weigh your muscle tissue as well as your fat tissue – even though a pound of muscle takes up less space than a pound of fat (and looks a whole lot better). Though many people use the BMI as an indicator (check out your Body Mass Index with a free online fat calculator or contact your gym to see if they offer this service), the BMI method is often not good for people of extreme heights or people who strength-train at the gym – because it doesn’t account for muscle tissue or bone mass. More important than which method you use to determine your level of body fat, is that you stick with the same measurement method. For example, if one method reveals that you are at 28% body fat, well, maybe you are really 27% or maybe 29%, but what will probably be accurate is how much you’ve gained or lost. If it says you’ve lost 6% or gained 6%, that number will probably be accurate if you’re using the same measurement method as you used before. I’ve also previously revealed that certain menu items, such as freshly made green smoothies, can be startling in their ability to reduce belly fat specifically. There are two tools that you’ll need to help you track your fat loss. One costs about $50, the other costs about $1. In the old days, we could only use calipers – or special scales that weighed us in water – to determine our true percentage of body fat. Fortunately, today we have other options. Many bathroom scales that you can buy today at your home-accessories store include a BIA feature (Bioelectric Impedance Analysis) that reveals your current level of fat. Your hydration levels may create a margin of error in the figure, but if you measure at the same time of day (such as when you wake up in the morning after using the bathroom), that can help to minimize the already-small risk of error. You’ll need to get the cloth or soft-plastic kind of measuring tape that tailors use (not the metal ones that handymen use) in order to measure your waistline. The measuring tape won’t tell you your percentage of body fat, but it will tell you how many inches you’ve gained or lost in your waist, and in some ways, this can be even more important. Write down both numbers each time you measure and you will have an accurate idea of whether or not you’re gaining or losing fat in your waistline. Research reveals that a slimmer waistline means a longer life, so this is an important area to track meticulously. You’ll perhaps think I’m kidding, but sometimes what’s also helpful is to keep one pair of your favorite skinny jeans in your closet. When you pull those jeans on, how well those jeans fit – or don’t – will give you a fast indication of your current fat percentage that is strangely more accurate than what the most expensive lab equipment would tell you. As many of my readers know, I had significant success permanently losing body fat by added freshly made green smoothies to my daily diet. Whether smoothies make you thinner or fatter, depends on the smoothie. A freshly made green smoothie can help you reach your perfect weight. On the other hand, when some people say “smoothie” what they really mean is some low-quality, overly sweetened powder from a can they got at the grocery store, mixed with milk and a banana. Those kinds of smoothies can make you fatter. But a daily fresh green smoothie made correctly can help you get leaner, stronger, and healthier. There are so many differing opinions on whether the number of calories or the quality of calories is more important for losing fat and achieving a healthy weight. The truth is, simply: both. People who still believe that only the number of calories matter do not understand about inflammation. Many of the modern world’s most common diseases are linked to chronic inflammation. Yes, excess calories can convert to fat, but what is also true is that the healthier you are, the better and more efficiently your metabolism works. It’s a good idea to, periodically, take a fresh look at your daily habits: what are you eating and drinking? You have this idea of what you’re consuming each day, but is it accurate? You can look better and feel better now than you ever have before. You can have more physical energy, experience more joyful feelings, tone your body with lean muscle and shed excess body fat. No matter what your current age, you deserve to live a life that is joyful, meaningful, and as exciting as you want it to be. Many hours of research and work have gone into my weekly email updates, presented to you in a style that is easily readable. each week you’ll receive a simple success strategy that will help you to raise your quality of life. over time, if you “stack” enough of these small new habits, your health and lifestyle can dramatically improve. you’ll also receive exclusive, instant access to our VIP area, where we keep valuable resources and tools for enhancing your daily happiness. A long and fulfilling life is built one healthy week at a time. functional fitness and the latest nutritional research. Life Quality is a broad and extremely enriching topic. It would be impossible for every single email to be directly and mind-blowingly relevant to your life at the moment it arrives in your inbox. In fact, we consider it a great success if only one of our free messages each month helps you improve your own life quality so you experience more daily happiness. At least once each week, an inspirational email message will await you in the morning – strategically designed to help move you toward new levels of health and happiness. As a subscriber, you will be waking up to wellness and starting each week in an ideal way. You’ll be providing yourself with the on-going motivation to make lasting improvements to your daily lifestyle. This is not a strict diet to commit to, nor an ongoing exercise routine or a self-help manual to read and forget. These are weekly incentives with recommended action steps. Anyone can adopt healthier habits that last for a month or two. The true challenge is to adopt healthier habits that will “stick” for a lifetime. Researchers have determined that the reason people fall off the health-wagon – and are unable to significantly raise the baseline for their overall health – is because they don’t have adequate, weekly encouragement and preparation. When you don’t have good health, you suddenly realize how foundational it truly is. When you have excellent health, anything is possible. When you are extremely healthy and the people you love are extremely healthy, then life is at its sweetest and most exhilarating. Becoming healthier isn’t all that difficult if you know what to do and in what sequence to do it. My weekly updates will help. Outstanding health is achieved incrementally. It’s really the small things you do each day – often without even realizing it – that determine your overall health. A small improvement here, a tiny adjustment there — after a while, those new small habits, when done consistently, begin to add up to profound health and longevity. The latest research reveals that it takes 60 to 65 days to implement positive new habits until they become like second-nature. Taking our cue from the evidence, we have created our how-to methodology in a series gentle “nudges” that will help you become the new, improved, healthier you. At least once each week, an inspirational message will shoot out to you. There are 48 specific action steps within these messages, shared in 12 distinct phases – each phase builds smartly on the one before it. The entire (free) program utilizes that latest findings in positive psychology and performance – to help you permanently increase your strength, energy, and joy. The Quality of Life Newsletter will help you feel better. If you implement the recommended action steps within the messages, the cumulative effect is a happier, more enlightened you – a powerful person who becomes more connected with yourself. Nothing is more expensive than poor health. Even a 3-week flu can be costly by the time you add up the doctor’s visits, the over-the-counter symptom relievers, the time off work, and other hidden costs. The updates are free, so why not partake? The ROI (return on investment) for the free weekly update is a priceless elevation of your own well-being and vitality. Even if you were to only adopt one small positive habit, it would be well worth the cost ($.0.00) – and in this strategic program, you’ll likely adopt more than one. 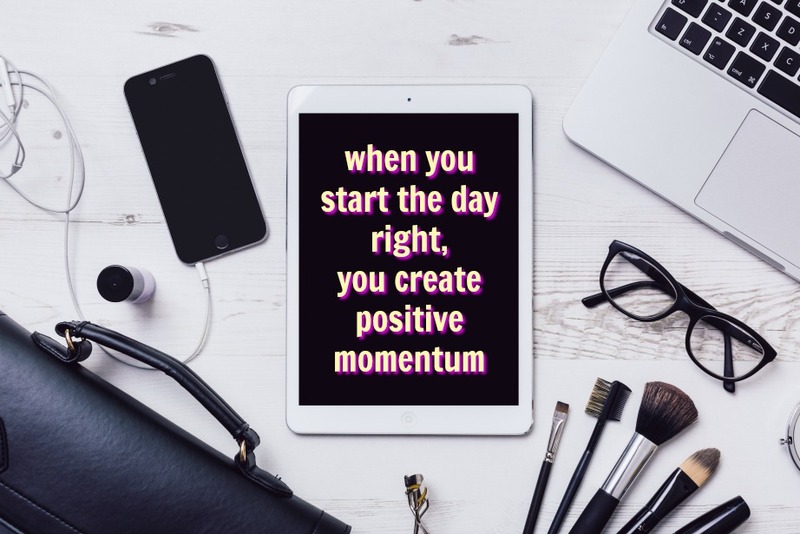 When you start the day right, you create positive momentum. You’re taking that first, important step in the right direction before most people have even woken up. Excellent health is a journey and as receiver of our free weekly update you will be walking the path toward improved health.